during the Moon of the Long Nights, this tale is told. Three Arrows was a boy of the Mohawk tribe. was already known among the Iroquois for his skill and daring. dream fast which was so soon to take. been patterned after that of his father. anything during the days and nights of his dream fast. him each day that the ceremony lasted, at dawn. would be free to return to his people, his dream fast successfully achieved. village even if no dream had come to him in the night. disgrace without the chance of taking another dream fast. will.' As he prayed, the wind suddenly veered from east to north. and the bear was the totem of his clan. him, and a gigantic bear stood beside him in the cave. well, Mohawk. Your clan spirit has heard your prayer. form of a blazing arrow. Was this the sign from the thunderbird ? no fear as he climbed toward the ledge. heart, for, from where the two trees rubbed together a flash of lightning showed smoke. 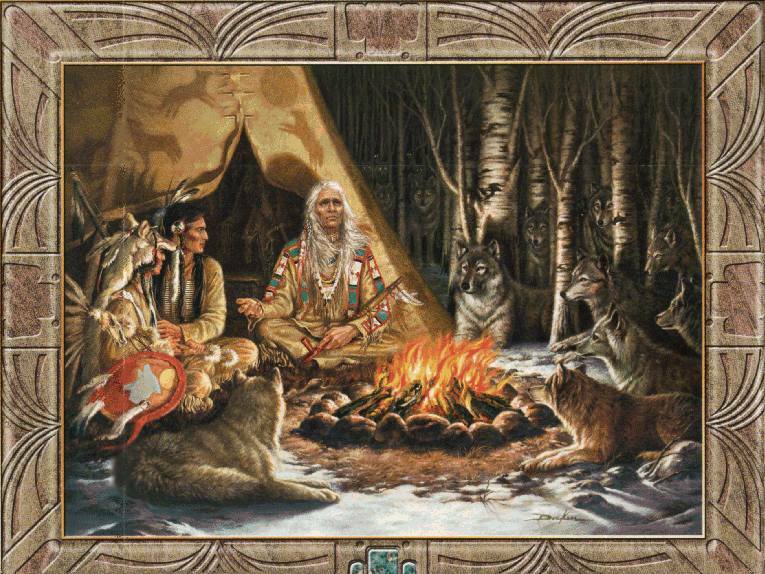 he thought of his vision, hisclan spirit, the bear, and its message. This was the mystery whichhe was to reveal to his people. and his new name - Blazing Arrow. mind, and he patiently rubbed the hot sticks together again. seen the fiery arrow wave in the night sky. A resinous blister on the stick glowed, then flamed - fire had come to the Six Nations !